It’s been a tough week in America. NAY. The world. 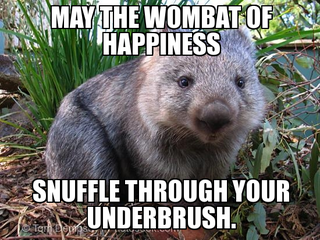 I mean, look at how our favorite Australian has yet to procure a pet wombat. I think we need an easy theme. Something to make us feel better. Memes. Man. Not the 4chan ones though. The ones that don’t make us feel like the world is full of soul sucking garbage. Extra points if they have cats.